Press releases are an excellent tool for any business with news to share and the desire to raise brand awareness. But what are these crucial pieces of content? Why do they matter? And where can you find someone to write one for you? There are many different companies that offer press release writing services, ranging from boutique family businesses to massive publicity networks. The following article is an overview of the field and a handy guide to the top creators. First of all, it’s important to understand exactly what a press release is. This type of content is a document issued to journalistic organizations giving information on important subjects. They can be written to provide official statements, inform the public about events, describe a particular phenomenon, or share other types of news. Generally, press releases are the first notification a journalist might have of something newsworthy, and often provide a major resource for them as they write articles. Some news organizations will even print or post press releases directly. From a content marketing perspective, press releases are one of the most useful tools a business can apply. They can increase exposure to your brand, promote your company on a variety of different channels, put your business in front of potential new customers and help you build relationships both with the media and with other organizations in your industry. All in all, press releases are an ideal tool for sharing information and increasing awareness. Because they have to communicate critical information in limited space, there’s little to no room for error. This is why writing press releases is often best left to professionals. 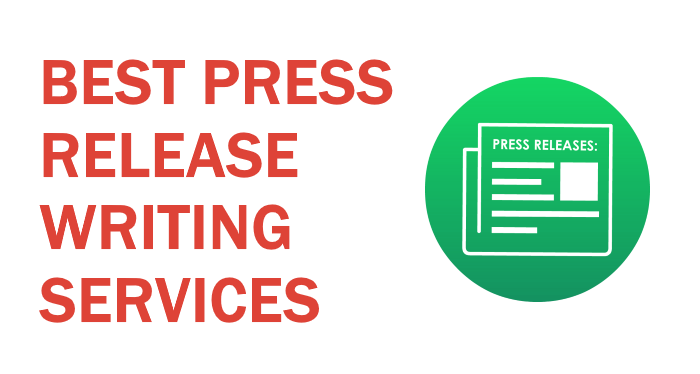 If you are looking for press release services to help you spread the word about your business, there are a number of companies that can help. It’s important that you know the difference, however, between a press release distribution service and a press release writing service. A distribution service posts your release online, indexes it for search engines, and may also forward it to news outlets or journalistic organizations. However, you often have to supply the press release yourself. A writing service actually creates the release for you, often researching, outlining, drafting, editing, and proofreading the entire document with your input. Some companies provide both services, but if you choose a writing business that does not, then you’ll also need to think about where to post the content. When it comes to writing services, you’ll want to be sure to pick a company that offers a variety of features and can provide you with a professional, informative, and readership-attracting press release. In no particular order, here are a few of the best press release writing services. These include eReleases, BKAContent, PR Web, Prompt Proofing, and more. Copify offers excellent writing services for all types of content. Their team of writers is all US-based, allowing them to produce content that is expertly created by native English speakers; their headquarters, however, are located in the United Kingdom. Most orders are complete in under 48 hours, and each press release is written by a professional; however, you’ll have to find your own publishing solution. Copify is a good choice if you need a specialty order, and offers by far the cheapest press releases of any company on this list—each one starts at only 6 cents per word. 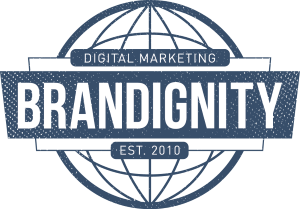 Brandignity is a full service marketing company that is also based in Florida, offering everything from pay per click services to reputation management. Although press release writing isn’t their main focus, their wide breadth of experience allows them to integrate your release with a variety of other channels and strategies. Although the cost of a press release varies depending on factors such as word count, image inclusion, and distribution strategy, they offer free quotes so that you can plan out your budget before launching the campaign. PR Newschannel is a posting and writing service headquartered in Florida with offices all over the United States. This business ensures that each release they write is SEO optimized and designed to thrive on the web; social media optimization is also available. They’re also able to find your content a home on the web so that it can be seen by journalists, media professionals, and potential customers. Prices start at $285 with a turnaround time of up to 72 hours for the writing of a press release. Headquartered in Texas and launched in 2011, Express Writers is a copywriting agency that ensures all its press releases are written by an expert with experience in journalism. Although there are no posting services, there are a variety of content types available, allowing you to order multiple pieces at once. Additionally, each release goes through a rigorous editing process where two different editors check each piece. Releases start at $100 each. Prompt Proofing, a Canadian company based in British Columbia, is a much smaller service that offers extremely quick turnaround times. While most larger businesses require at least two business days to produce a press release, Prompt Proofing touts a 24-hour turnaround time. This family-owned business established in 2010 also offers other forms of copy which you can use to support your press release, as well as an editing service; they offer the option of uploading the release to their partner site – 24-7PressRelease – at no extra cost. Pricing is available upon request. PR Web, headquartered in Chicago, is another writing service that also offers distribution. They have a massive network of partners, with over 30,000 journalists, bloggers, and websites that they can send your release to. This can translate to massive online exposure. Although it’s not their main focus, they also offer press release writing services in addition to distribution. Generally, this service costs about $325 per release, which is somewhat on the higher end among the companies on this list. BKA Content is a rapidly growing company that handles all sorts of articles and documents, including—you guessed it—press releases. First launched in 2010 and based in Northern Utah, this writing service utilizes a network of American-based writers to create relevant, interesting, and search engine optimized content. Although they do not offer distribution services, they do offer a variety of other types of content, allowing you to purchase social media updates, blog posts, and other types of content meant to draw attention to and build upon your press release. BKA Content also offers one of the lowest prices of all the companies on our list, with shorter press releases starting at around $42. Based in Maryland, eReleases combines a press release writing service with an extensive distribution service that aims to get your content into the hands of journalists and media professionals. Their partnerships include large organizations such as the Associated Press and the PR Newswire network. Sending out the press release isn’t enough, though—it also has to be well-written, and eReleases offers a writing service that can tailor your document specifically for the desired audience. Their turnaround is moderately quick—less than one week—and they ensure that you’re satisfied with the copy before distribution. Unfortunately, however, there can be extra charges for some features, which means that the price might take you by surprise. The costs of getting a press release written by eReleases can vary, but start at around $200. Do you want extra services such as related content or specialized editing? Is time of the essence? What kind of turnaround are you looking for? Do you need a press release distributor as well as a writing service? Will the press release be SEO optimized? Once you’ve figured out the answers to these questions, you’ll be able to figure out which company is best for you. No matter what your news is or what you’re looking for in a press release writing service, there are many different options available. Be sure to do your research so that you find the perfect fit for your company—a writing service that offers the services you need and produces high quality content. A well-written press release is one of the best ways for you to spread good news about your business, make important announcements, and get your brand name out on the web, so be sure that you choose wisely.